This two drawer acacia wood writing desk is perfect for your home office. The rich Sandia Brown finish brings the wood grain to life. The drawers have upgraded extended glides allowing for easier access to what's stored inside. If you look closely you will notice the natural live edge visible along the top cubby and lower edge of the drawers. 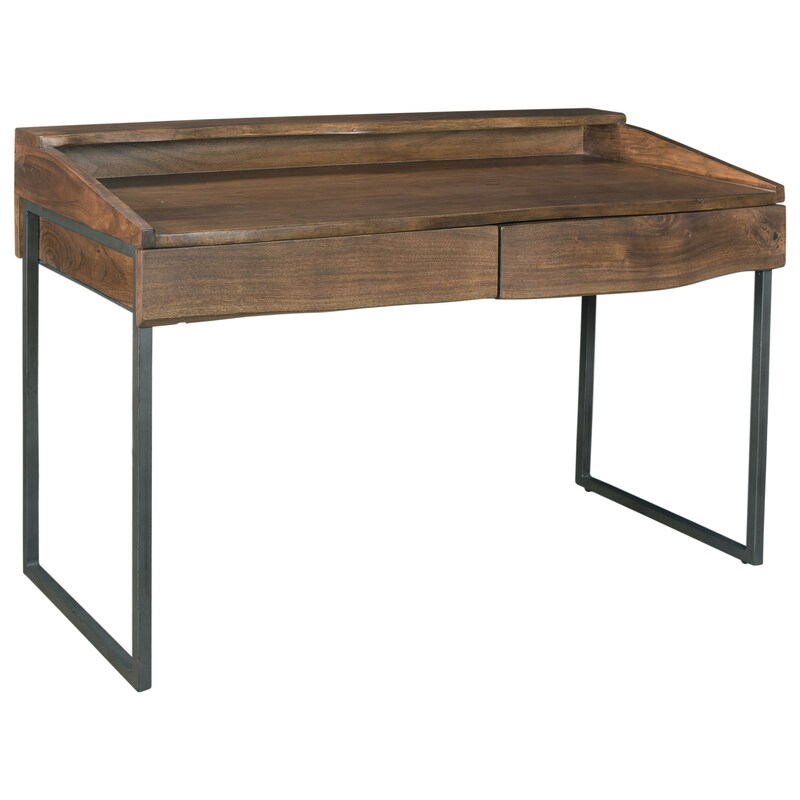 The Coast to Coast Accents Two Drawer Writing Desk by Coast to Coast Imports at Zak's Home in the Tri-Cities, Johnson City, Tennessee area. Product availability may vary. Contact us for the most current availability on this product.